Otboi [Retreat], no. 3, March 5, 1906. 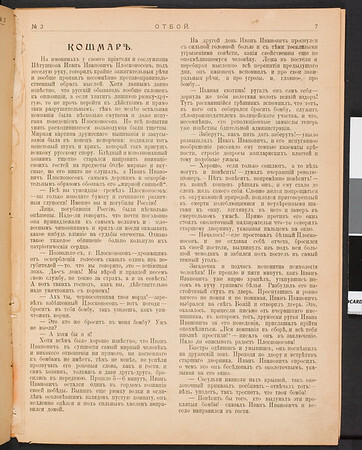 Published by M. K. Gurskaia. Edited by M. K. Gurskaia. St. Petersburg. Typography: U. L. Mansfel'd. Art journal of public and political satire. This issue contains poetry, prose, pictures and illustrations by artists and writers.